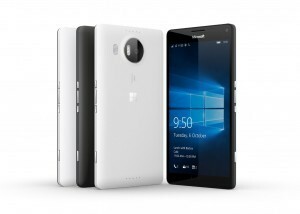 Yesterday the first hands-on reviews of the Lumia 950 were published by the ‘large’ American sites. I have read, viewed or listened to two; The Verge and WindowsCentral both have their reviews online. There are many references to the simple design when compared to other high-end phones. It is described as cheap and plastic. Where the The Verge really does not recommend anything about the Lumia, WindowsCentral has found a few positive points in the specifications, the camera abilities and the Continuum addition, which is described as very special. WindowsCentral also makes clear, however, that they do not expect the average user to adopt Continuum. As said, The Verge is not very positive, but WindowsCentral stresses that for users who choose the Microsoft ecosystem the Lumia 950 and 950 XL is the perfect phone. A phone that anyone who falls into that category certainly needs to buy. Both sites are of course quite vocal at the sheer lack of applications. The Verge is the most negative and really says that almost nothing is available, while a somewhat more nuanced image is painted by WindowsCentral, but with the clear remark that there is a big gap between the quality and availability of applications for Android, IPhone and Windows Phone. Is unclear, and no one dares to make any predictions, if Windows 10 will solve that problem.